Wat is dit voor site? Wij zoeken de goedkoopste boeken op internet. After the Great Complacencevonden we het goedkoopst op Bol.com voor €41.99. We hebben gezocht in nieuwe en tweedehands boeken. Rechtsonderaan de pagina kan je het boek direct bestellen	via Bol	.com. What is the relationship between the financial system and politics? In a democratic system, what kind of control should elected governments have over the financial markets? What policies should be implemented to regulate them? What is the role played by different elites--financial, technocratic, and political--in the operation and regulation of the financial system? And what role should citizens, investors, and savers play? These are some of the questions addressed in this challenging analysis of the particular features of the contemporary capitalist economy in Britain, the USA, and Western Europe. 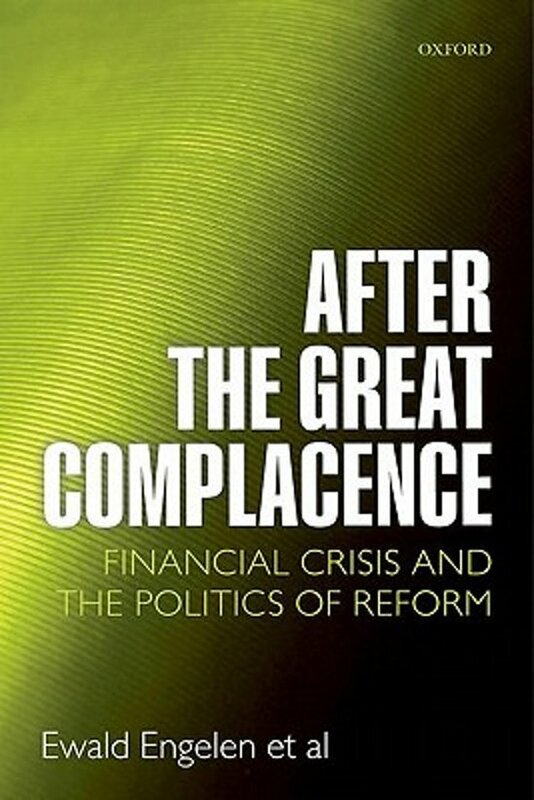 The authors argue that the causes of the financial crisis lay in the bricolage and innovation in financial markets, resulting in long chains and circuits of transactions and instruments that enabled bankers to earn fees, but which did not sufficiently take into account system risk, uncertainty, and unintended consequences. In the wake of the crisis, the authors argue that social scientists, governments, and citizens need to re-engage with the political dimensions of financial markets. This book offers a controversial and accessible exploration of the disorders of our financial capitalism and its justifications. With an innovative emphasis on the economically 'undisclosed' and the political 'mystifying', it combines technical understanding of finance, cultural analysis, and al political account of interests and institutions.